Kostanjevica is a town on an island in the middle of a river, which makes it unique in the world. It is possible to get to the island on 3 bridges. Two (north and south) are opened for traffic, the smallest “pietist bridge” could be crossed only by bicycles or pedestrians. The town is crossed by two parallel streets, Ulica talcev and Oražnova ulica. It’s easy to recognise Kostanjevica by its wooden bridges, made from oak wood of the Krakov forest. In the past, the pillars were placed manually and this craft was mastered by the masters of Kostanjevica. The oldest building on the island is the parish church of St. Jacob, mentioned in old written sources from 1220. 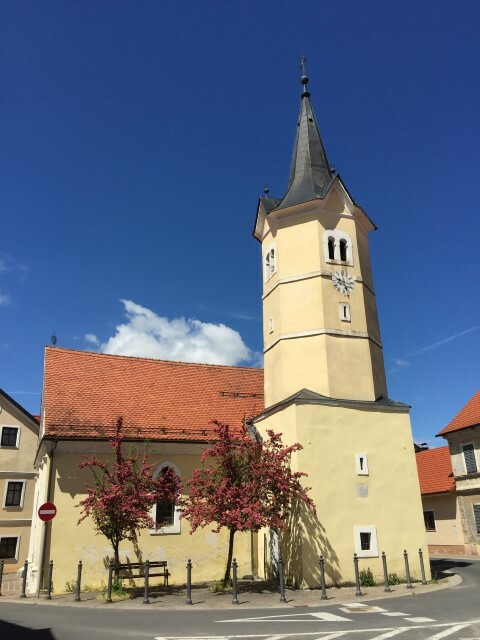 The church has a roman base but through time it integrated elements from other periods. It acquired its final form in the 18th century. Its greatest peculiarity is represented by the western and southern Roman portals. They include bud capitals that precedes the Gothic period. The interior is decorated completely in baroque style. The rich baroque altar is decorated with a statue of the patron St. Jacob with St. Peter and St. Paul beside it. The side altars are made from marble that came from the nearby monastery church. On the north side, there’s an altar of St. Anthony of Padua, to which the parishioners bring every year pork legs and other dried meat products praying for quality products. First mentioned in 1581. Originally it was a part of the town hospital and after its closure it became a succursal church. In 1683 and 1744 it burned down and in both cases it was restored. 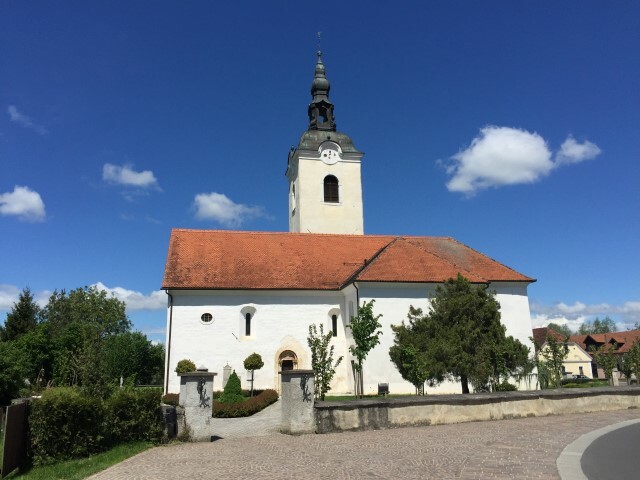 The presbytery was built in the 17th century and furnished with a late-baroque altar that was removed in 1931, when the local painter and sculptor Jože Gorjup painted the gothic presbytery. 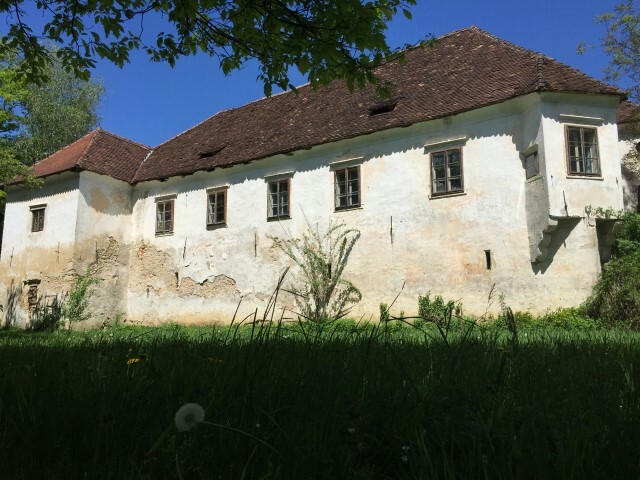 The oldest secular building on the island is the mansion of Kostanjevica, built in the 16th century, after the destruction of the Kostanjevica castle during the battle between the Counts of Celje and the Habsburgs. It’s special for its corbel pier on the juncture of the L-shaped building. Inside, there’s the shrine of St. Ana from the 18th century. Today, in the southern part of the mansion there’s Lamut’s art salon, which hosts exhibitions and it’s one of the 2 relocated units of the Gallery Božidar Jakac.